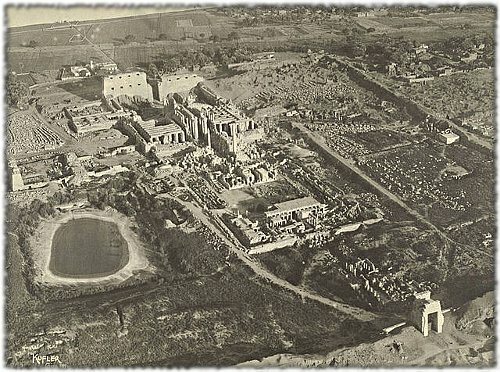 Karnak in 1914, Cornell Library via Wikimedia. The temple complex at Karnak, dedicated to Amun, Mut, and Khonsu, covered 200 acres. It’s one of the largest religious sites in the world. There were other huge temples up and down the Nile. They were built of stone, when the pharaoh’s palace was built of common mud brick. It’s even more amazing when you remember that they weren’t big for the same reasons a cathedral, church or mosque is: housing a large congregation. Only the outer courtyards of the temples were spaces that could be visited by people who weren’t priests. We’re used to the idea of people coming together to pray and engage in communal worship. It’s hard to wrap our minds around the idea that these structures were meant to impress the gods and serve their needs, not those of man. 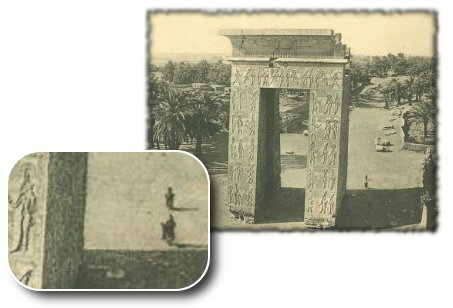 Main gate at Karnak. Those dots are people! It’s said that the Karnak temple complex employed as many as eighty-one thousand people. Of course, most of them were not priests, and very few of the priests would have performed rituals in the main sanctuary. The resources needed to feed and support this many people in the ancient world would have been staggering. And this was just one temple complex! Inside these temples, rituals were performed every day in the main and subsidiary shrines. Rites to wake up the gods presence in the icons every morning. Rites to curse the enemies of the King and the enemies of Ma’at. Rites of praise, rites of offering, rites to celebrate the holidays. These rituals connected with the eternal gods, so they needed to be unchanging. They were written down and meticulously copied, and chiseled into the temple walls. Some icons were taken in procession to visit distant shrines of other gods, some a hundred miles away, every year. 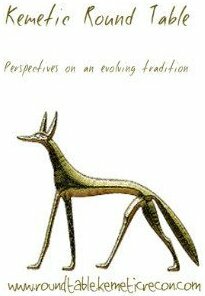 This went on for thousands of years, evolving, growing, weathering the occasional invasion or setback. After successive takeovers by the Persians, Greeks, and Romans, the Egyptians saw the rich bounty of their land shipped overseas. An afterlife that promised the continuation of the best things in life didn’t seem as compelling when they were under the conqueror’s thumb. A new religion promised that the hated enemies would suffer eternal torment. Christianity gradually took over, ironically becoming the official religion of the imperial invader. The last, far-flung “outpost” temple at Philae was closed by the Byzantine emperor in the sixth century. Temples were systematically defaced by the Christians, then the Muslims. …then not much of anything. For almost 1,500 years the Netjeru were ignored. There was the occasional mention of “Thoth, the Hermes of Egypt” or Nuit in Hermetic and other initiatory traditions, but the Greeks who established them couldn’t read hieroglyphs, hieratical texts, or even speak the Egyptian language, apparently. The whole thing became a cosmic game of telephone, becoming more unrecognizable with each telling. Finally, in 1970, the Aswan Dam was completed, putting an end to the cycle of inundation and rebirth that stretched back to prehistoric times. Was this the final wake-up call for the Netjeru, a signal that something needed to change if they wanted an earthly connection beyond a footnote in an art history text? Where does that leave you and me? 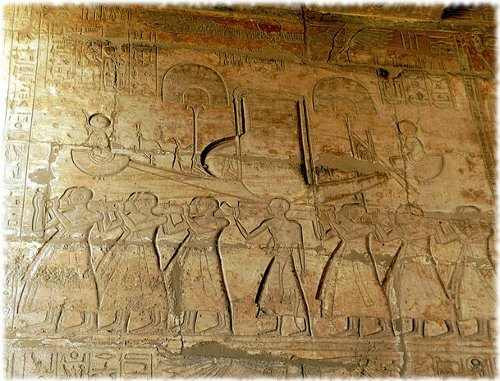 As Kemetic reconstructionists/revivalists, there’s no way we can match the goodies provided by a state-sponsored religion, fueled by the yearly biomass bounty of the Nile. We adapt what we can of the old texts and rituals, and we’re beginning to piece together some shards of the Onion Hoer religion of the ancient 99.99%. I’ve heard a few people claim that the temples and rituals were mere window-dressing, that the “true master” can connect directly without the needs of such trappings. This doesn’t ring true when you look at the care that was lavished on the Netjeru and their offerings. What do we offer? “Every good and pure thing upon which a god lives” is the traditional formula. Most of us stand on our heads to try and think of something original and different to offer the gods. I even helped write the facetious Great Netjer Soda Guide, though the Kemetic Offering Guide written by Devo is a much more useful resource. If you’re Kemetic Orthodox, do you do Senut every day? Every week? Once a month, even? 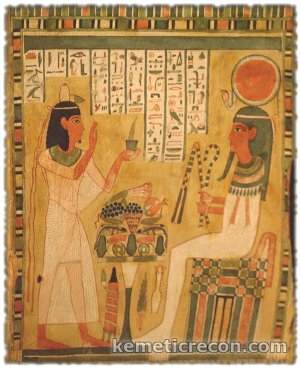 If you’re independent or from another Kemetic tradition, do you do regular rituals and offerings in that? Sometimes we just can’t do a ritual, but most of the time we get out of the habit, and a missed day turns into a missed week, then a missed month. Why not break that cycle? 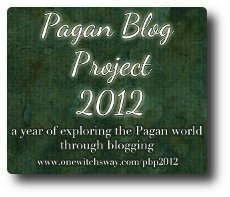 This entry was posted in Ancient Life, Festivals, Gods & Goddesses, Modern Practice, Offerings, Pagan Blog Project 2012, Ritual, Shrines, Theology and tagged Amun, Ancient Egypt, Aswan Dam, daily kemetic practice, Egyptian, Karnak, kemetic, Kemetic Orthodox, Khonsu, Ma'at, Nile, offering, onion hoer, Pagan Blog Project 2012, philae, ritual, senut, shrines, temples by helmsin2. Bookmark the permalink.